For reasons which I suspect have more to do with wrangling Provinces than anything else, the Tour de France traditionally starts in another country entirely. This year: Yorkshire (which is a country, yes. Obviously). 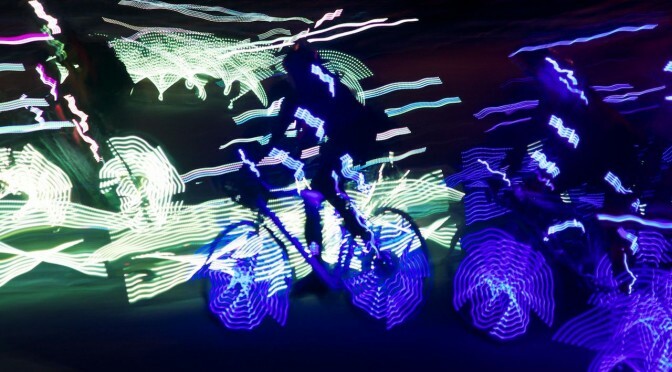 To kick off the celebrations marking the event, this weekend saw a mad spectacle of an arts performance, Ghost Peloton. 36 illuminated riders choreographed to a backdrop of music and a film featuring more cyclists and dancers. It was glorious. You missed it, sorry.